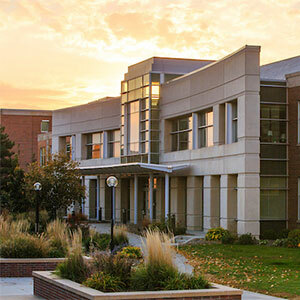 The School of Criminology and Criminal Justice is a nationally recognized leader in criminological research and education. Our nationally recognized faculty lead the scientific advancement of knowledge through research on the etiology of criminal behavior and the development of effective, efficient policies and practices in the criminal justice system. Our signature areas of excellence include Victimology, Corrections, Policing and Terrorism, and Biosocial Criminology. Our Masters program is ranked #1 in the U.S. by the US News and World Report. Our graduate students benefit from working alongside faculty in their research labs as they complete their doctoral degree. Undergraduate students are taught by faculty who have unsurpassed research and/or field experience and credentials. Bachelor's and Master's degree are available entirely online as well as in person to maximize schedule flexbility. SCCJ faculty publish their important findings in academic journals, present at national and regional conferences, and share their expertise with community and agency stakeholders to inform help shape best practices and evidence-based policies. Added research opportunities are extended by the SCCJ's affiliation with the Nebraska Center for Justice Research, the Juvenile Justice Institute, and the Center for Collaboration Science. Many Nebraska criminal justice agency employers provide tuition assistance applicable to our degree programs. One UNO program across two campuses - students can attend Bachelor of Science in Criminology and Criminal Justice classes on the Omaha or Lincoln campuses of the University of Nebraska system or through our Distance Education program. Our undergraduate program is ranked #15 in the nation! Our #1 ranked Master of Science degree open the door for students and professionals to advance into leadership positions in criminal justice agencies or community organizations. Online or in person evening classes are available. Not sure about committing to a Master's program? Our Graduate Certificate in Managing Adult and Juvenile Populations allows students to explore graduate work in a concentrated specialization and earn credit that could apply to our Master's program. Our Master of Arts degree emphasizes research activity and scientific inquiry for students who plan to advance to a doctoral program. A Doctor of Philosophy degree in Criminology and Criminal Justice provides unprecedented opportunities to engage in applied research under the supervision of nationally recognized experts. This competitive program is typically as a full-time student with graduate assistantships available. Our joint Master of Science in Criminal Justice and Social Work degree is one of only a few joint programs in the country that combines the critical work in these complementary fields. With over 900 undergraduate students, approximately 100 masters’ students, 20 doctoral students on the two largest campuses in the University of Nebraska system, the School of Criminology and Criminal Justice is a vibrant academic community. We hope you enjoy your visit to our website and welcome you to our events.